Thousands of papers went undelivered earlier this year after a new vendor assumed control of the Globe’s newspaper routes. ACI took over from PCF on Dec. 28 but was hobbled by poor route planning and the loss of frustrated drivers. The resulting wave of customer complaints overwhelmed the Globe’s telephone system. The Globe in early January brought back PCF for a portion of its delivery area, dividing the metropolitan area roughly in half between the two firms. The Globe has about 115,000 daily subscribers and 205,000 on Sunday, company officials said at the time. About 90,000 daily and 190,000 Sunday subscribers live within Greater Boston. Missed and late deliveries persisted in the ACI areas even after the territory was split, leading to ACI’s negotiated exit, Peter Doucette, the Globe’s vice president of consumer sales and marketing, said in an interview. Terms of the separation are confidential, he said. The agreement to sever the relationship was signed Monday, Doucette said, though the regionwide transition to PCF has been ongoing quietly for several weeks. The transition to PCF should be complete by Monday, he said. An ACI spokesman could not be reached Tuesday. The delivery service meltdown led to “a fair number of cancellations,” Doucette said, declining to say how many. “We understand we didn’t fulfill the promise to deliver the paper every day and hopefully we’re taking a path” to correct the remaining problems. Globe executives have said they hired ACI hoping to cut cost and reduce cancellations by improving service, in an industry under tremendous pressure from declining advertising revenue. Globe officials have said the paper was paying some of the highest delivery rates in the country before switching to ACI. ACI’s initial problems in Greater Boston appeared to stem from badly sequenced delivery routes, which forced drivers to crisscross neighborhoods repeatedly, making their shifts far longer than expected. Upwards of 100 drivers quit within the first few days after ACI took over, leaving many routes vacant. 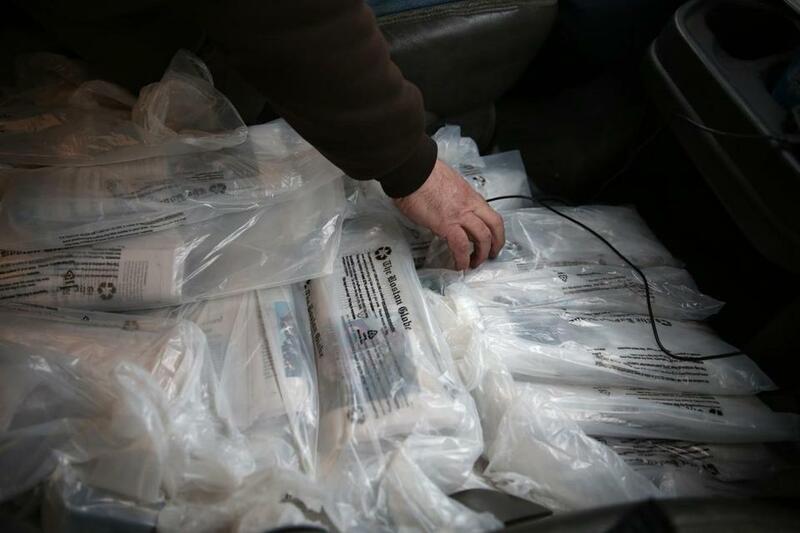 Globe staff from the newspaper’s advertising, business, and news departments volunteered to help deliver papers on two Sundays in early January, yet even on those days many papers failed to arrive at the driveways and doorsteps of the customers. Doucette said the Globe still expects to save money on delivery under its new arrangement with PCF. He declined to provide any figures. While acknowledging the switch to ACI didn’t work, Doucette said the newspaper will continue looking for ways to transform and save costs. “We still have to try things to make our business sustainable,” he said.